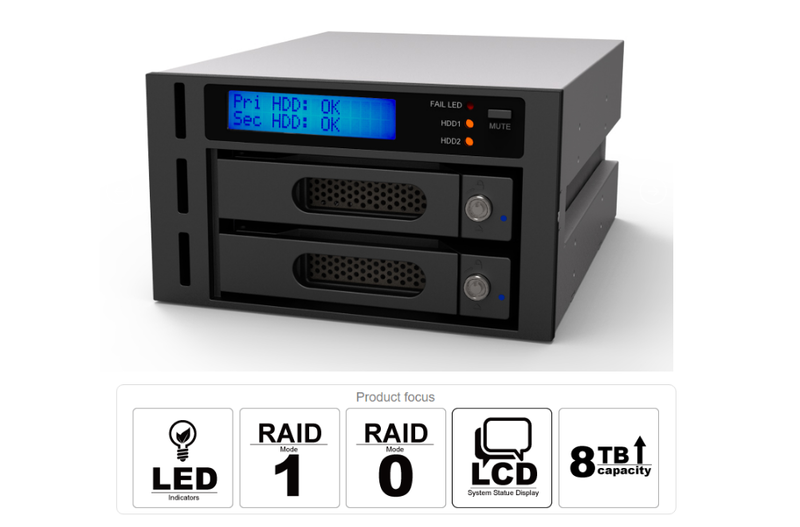 The cost effective RAID storage ,Now up to 16TB. iR2622 is an internal (6Gbps) RAID module designed in 2 of 5.25” CD-Rom bay to satisfy the demands of SMB and industrial computing environment. With LCD tents leaving you to easily grasp HDD status. 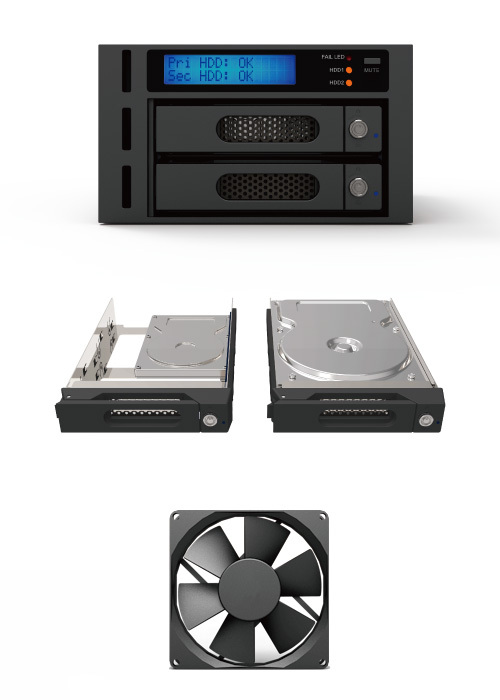 iR2622 accommodates 2 of 2.5”-3.5 ” SATA III hard drive and offering both RAID 0 and RAID 1 functions . 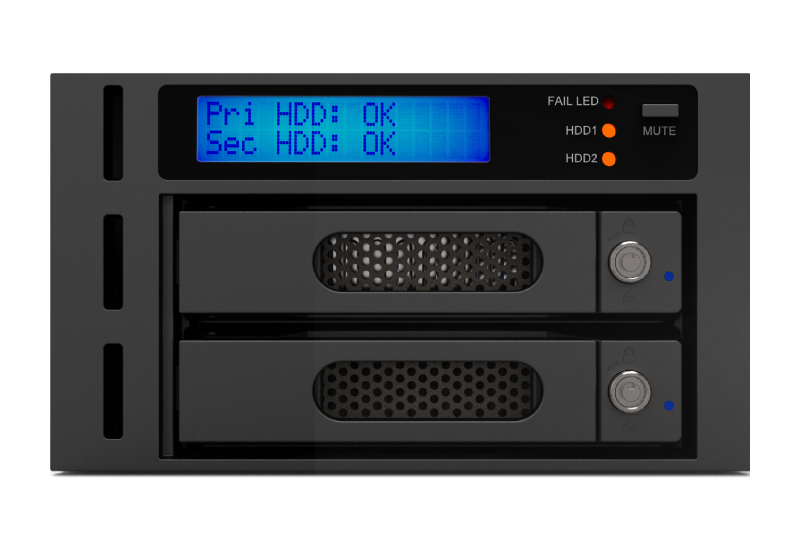 Uses the RAID 0 function to integrate the capacity of two hard drives and to enhance both read & write performance. On the other hand, uses RAID 1 function for data redundancy by mirroring data among both hard drives to prevent the event of a hard drive failure causes system shutdown. 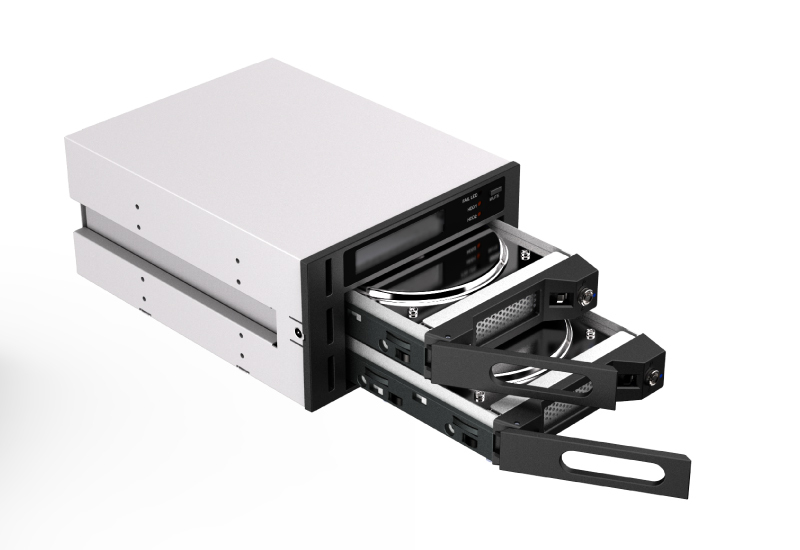 If drive replacement becomes necessary, the iR2622 is modular designed for effortless removal and install of drives. It’s also protected by a locking mechanism to secre the drive into place. iR2622 is equipped with an 6cm fan located at the rear and comes with the SMART fan functionality where the fan spins at 70% speed when under 54℃ and full speed when reaching above 56℃. In the iR2622, in addition to the back light screen that can display the module status, for Windows users, a software RAIDGuide Manager monitoring program is also provided. 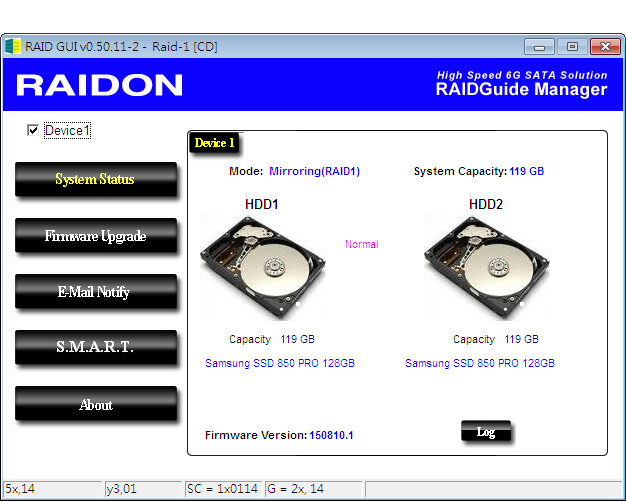 It allows users to understand the RAID module and hard disk status more directly through the monitoring program. Even better, after setting the monitoring program, it will take the initiative to send letters to users when the hard disk fails. This instant notification allows users to be aware of the situation as soon as possible to remedy the situation faster. Let The DVR, NVR Device To Install and Use The iR2622 Easily. 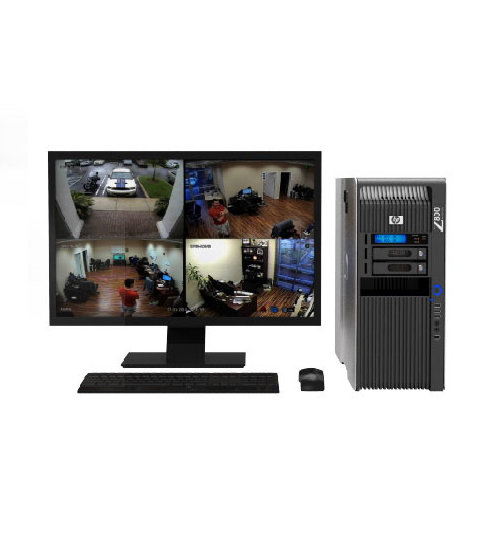 Take advantage of the durable HDD disk to install your DVR, NVR operating system and use two hard disks with up to 8TB capacity and RAID 1 to protect the long-term data. 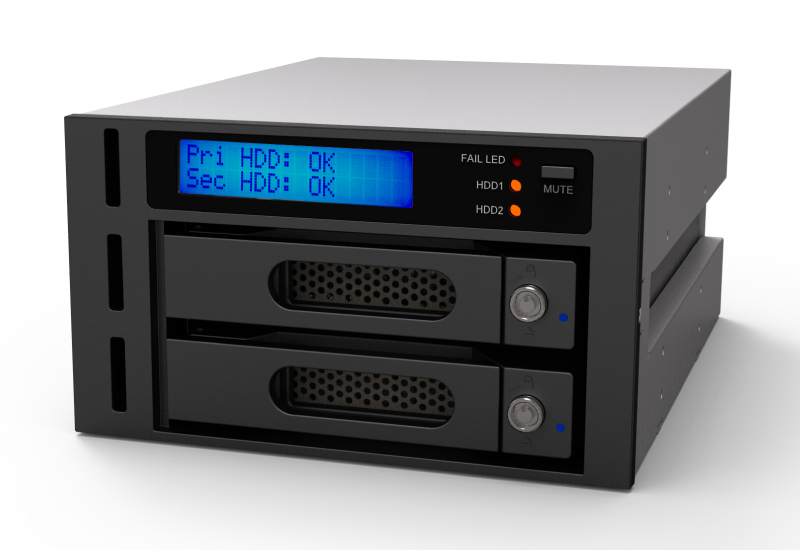 You can even use the iR2622’s hot swapping feature to extract the 2.5”-3.5” hard disk periodically and to save it in the data center, then to put in a new hard disk so the iR2622 can continuously perform instant backup. 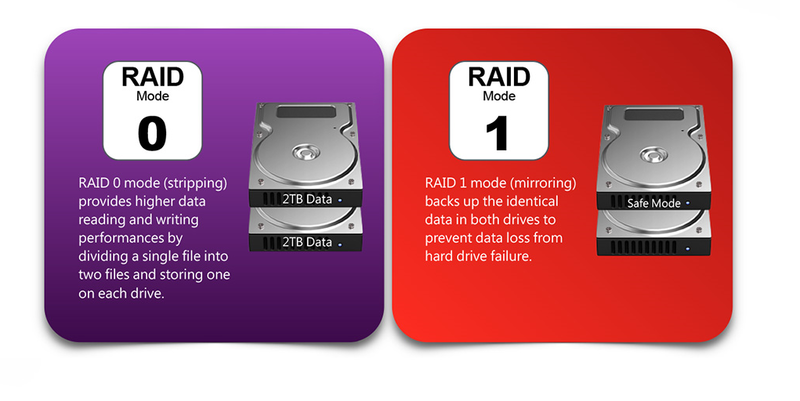 Use RAID 1 To Maintain Stable Operation Of Automation Equipment. 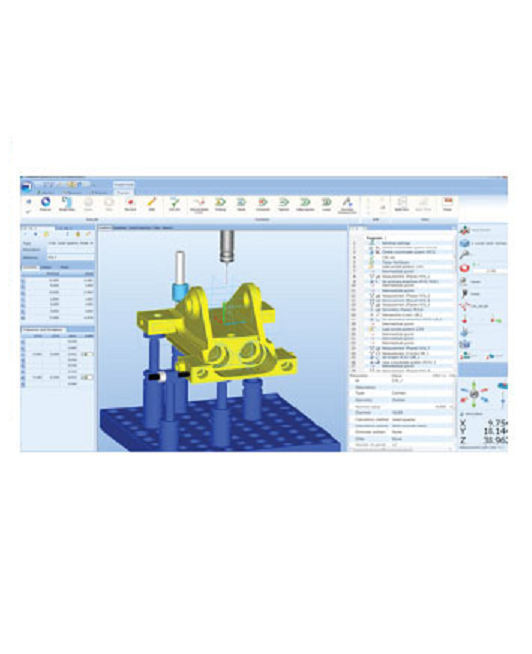 The advantage of automation equipment is in its production efficiency. In high-speed production processes, the matter worried most is system failure. System failure will cause a shut down of an automated production line. Production loss during these shutdowns is far greater than business owners can image. By using the iR2622 RAID 1 module, you can protect automation systems long-term operation and do not have to worry about halts in automated production equipment due to hard disk damage. This is the most cost-effective equipment choice. 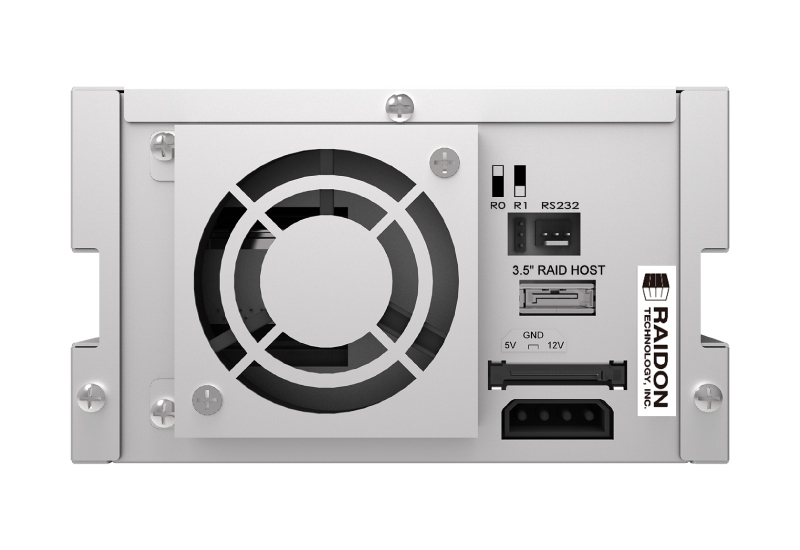 From small-scale CNC machining to large-scale semiconductor manufacturing processes, the RAID 1 module is recommended to protect the long-term operation of systems and achieve high production efficiency. Q2What will happen if we turn off the computer's power while iR2622 is still executing data auto rebuilding? Q4When the iR2622 is in use, the computer system is functioning normally but the iR2622 access speed is abnormal. Q5After installing iR2622, we are unable to start the computer or the computer can not locate iR2622 upon startup.